On Monday, July 31st, Sansar opened its door to the public Creator Beta, allowing anyone to sign-up for an account and give it a go. 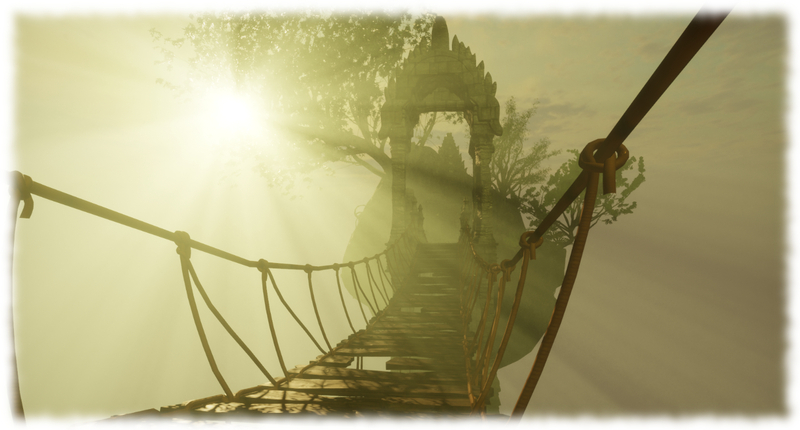 Unsurprisingly, people from Second Life have been among the first to take a look, so I opted to start my public coverage of Sansar with a getting started guide and then some suggestions on where to go and how to interact with things inside experiences. One thing the Lab has always made clear about Sansar is that the July 31st opening was not the release of a polished, finished product. Sansar is going to take time to build-out, with features and capabilities being added on a rolling basis. Given this, what might be the Lab’s views and thoughts on Sansar’s development up to now and looking ahead? Just ahead of the Creator Beta opening, Bjorn Linden (aka Bjorn Laurin, the Lab’s Vice President of Product) and Widely Linden (head of Product for Sansar), together with Pete Linden (aka Peter Gray, the Lab’s Director of Global Communications) and Xiola Linden (SL Community Team Manager), sat down with Sansar and Second Life users to discuss such things. The following is a synthesis of Bjorn’s and Widely’s comments in the two (of three) sessions I was able to attend. Why is the Public Beta Called “Creator Beta” Is it for Creators Only? The beta is open to everyone, but because Sansar is still growing, the Lab’s focus remains on creators – those making both original content for upload and use in Sansar, and those creating experiences using that content (regardless of whether they made it themselves or purchased it through the Sansar Marketplace), to ensure they have the tools they need to build and design. At the same time, the Lab will continue to build Sansar out with other capabilities – avatar customisation, community tools and so on – which will be of benefit to all users, be they creatives or visitors. Well, first of all Sansar is built on a whole new code-base. There is not a single line of code that is the same [as Second Life]. 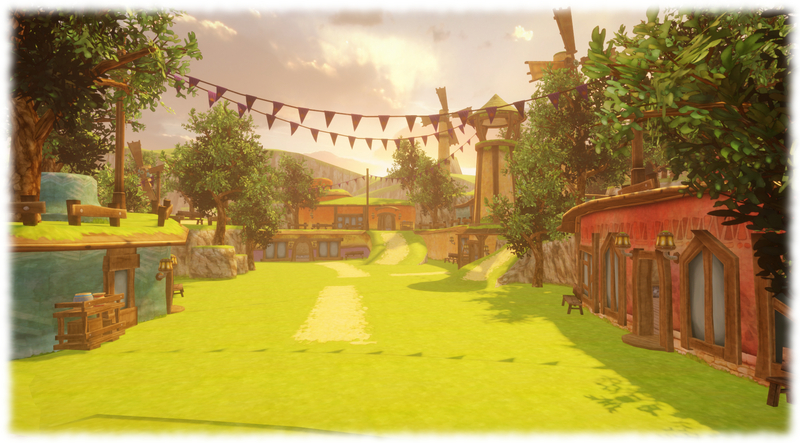 We’ve taken a lot of lessons from Second Life, a lot of the initial planners of Second Life were involved in Sansar; but we’ve rebuilt everything. That’s why its taken time. We decided not to use Unity or Unreal; we decided to build our own platform and create our own destiny. One of the thing for that is about users. User creation in Unity and Unreal is extremely hard; we’ve seen that. For example, if Unity were to do a big upgrade, or Unreal, all the user creations [in Sansar] would break [and] they cannot fix that. That’s why we wanted to create our own destiny. We built out own platform … its taken a few years, but now I see its been worth it. We have our own platform, we control our own destiny; user creations will look the same after an update. That, for us, has been very important. Right now, Sansar is very VR headset / controller biased. However, it does also run in a Desktop mode somewhat similar to Second Life (1st and 3rd person movement). The Desktop mode is running a little behind VR mode, capabilities-wise (you cannot really manipulate things in the Sansar runtime environment via the Desktop, for example), so how does the Lab regard the Desktop mode? When we build things, we have to start at the top and then go down. We start with the VR and all the features, then we’re going to bring those features, as many as we can, into non-VR as well, because we know VR is not going to take over the world tomorrow. But we can’t just make features and then add on VR; we have to make VR first and then bring it down fast. And we’re going to do it fast now, as we have a platform to build on. I want people to be able to pick up things on the Desktop and all that stuff, so it’s coming, we’re working on it very fast. So I wanted to speak to that. The HMD does allow a whole other level of immersion, and it’s really great and Sansar does it very, very well. But in the work it took us to be able to do it well, we made Desktop really good. Because VR is very technically demanding to do, and the desktop mode was very much the beneficiary of that effort. So what that means in more practical terms is the renderer is very efficient, is very fast. And then means you don’t have to have a crazy expensive gaming PC to run Sansar. Is it going to run at 60 fps on a three or four year-old laptop or a five-year-old laptop? No. But it will run at least as fast as Second Life does on that same desktop, and look prettier doing it. So Desktop really benefited through our efforts in VR. And people are in desktop, and we know that; that’s why it’s really important, unlike some apps, you can with a single press of a button or an icon, just instantaneously switch back and forth between the modes … you just smoothly transition between desktop and VR modes. And there are times you want to do one, there’s time you want to do the other. So HMDs, if anything, helped to make Sansar even better for Desktop. Currently, the Sansar avatars appear – to Second Life users – to be very basic: limited customisation, fairly generic looks, etc., no ability to add anything other than basic attachments at present (rings, hats, sunglasses, etc.). What is likely to happen with the avatars? People are very interested in their avatars, and attachments [as enabled when the public beta launched] is a first step. I chose to let everyone do avatar attachments because I spoke to many of you, and you wanted that in Sansar. You can’t put it in the store yet, you can’t sell attachments, but this is just the first step … but it’s working, it’s solid, it’s not crashing. I’ve been spending a lot of time working with partners, the big corporations that have given us access to technology that no other platforms are using how we are planning to use them. So, for example, if you sell a dress, I do want to have a one size fits all; when you put it on, it should fold and crease just like in real life. We have that working on our servers so we will roll that out all these things … we will reveal more of these things in the next couple of months, actually, how it will look and feel like. And you will get full access to everything … You will have access to all this stuff [like] you have access [to it] in Second Life. Just give it a bit time to make it right! Me and my team, we’re working very hard on it! Second Life has really self-selected for an audience that is very interested in, and really enjoys playing with, avatars: customising avatars, dressing avatars, really focused on that. This is an area in which – and I’ll just be up-front – Sansar is not at parity with the degree of flexibility in regards to crafting an avatar that you currently have in Second Life. You can customise your avatar in Sansar, it looks pretty nice as you do it, but we still have a way to go there. Now, that being said, we have some stuff coming on-line here over the next good chunk of time that will I think rapidly set the Sansar avatars apart, and allow creators to achieve some effects that were impossible and are just so painfully difficult or costly to achieve in Second Life that it would be generally frowned upon. And so it’s going to be interesting times ahead in regards to avatars in Sansar. And I think where they’ll start to really take off is as we work to make them more and more active and emotive; improving the face animations, getting those to be more expressive; getting hands to actually interact with objects and look like they’re actually touching the objects; not just in the right general vicinity, but actually have the fingers in the proper grip to hold objects. That stuff is on its way. The Sansar avatars are actually extremely, extremely advanced. I would actually go so far [as to say] they are among the most advanced avatars there is today, on any platform. Just the female avatar in Sansar has over 125 bones in the face, to make it work as we want it, to make it look realistic. That’s more than actually humans have. I want you to build your own avatars. for now that technology we put in is so new, no-one else is using it, we’ll be able to use it for a long time, to make it look realistic, and that’s part of it. When they talk normally it’s going to look better as well, it’s going to look better, in any language, it doesn’t matter. It may Chinese, could be English, could be Swedish, could be Portuguese, Spanish. It’s going to look good. We’ve spent a lot of time on that, and I’m super excited about these small things that make it immersive, that make us want to spend more time in there. But this is just the start. I talked about the 125 bones in the face [for comparison, the SL avatar has around 133 bones in total], that’s part of what is so complicated; because if you move one of those bones, it’s going to break everything. So we’re working on a way so we can lock those down, and there’s still going to be a way for you to be able to create like a werewolf, so it look normal when the werewolf talks, or holds, or whatever a werewolf does. And we are working on that, it’s going to happen. Just give us some time. I want you to be able to have talking animals, talking trolls, whatever. It’s going to be there. The next step for the avatars is you’re going to be able to make them bigger, smaller, fatter, thinner. All that stuff, it’s in the works and it’s very exciting. We do get some feedback pretty often that it’s very slow in Sansar … you can’t move as fast as you want. The reason for that is, when you’re playing a game like Call of Duty or something, or any kind of shooting game … avatars walk at a speed of 30+ miles per hour, and that’s not human. For the people in VR headsets, and we noticed this pretty early on, if someone runs by you at 37 miles an hour, it looks really weird; it’s like a lightning bolt coming through. So we decided to take it away, but I have one person working on the avatar running both in desktop and VR to make it smooth, so it looks better and works, so you can’t get up to lightning speed. So, everything has an explanation why we don’t have things, and if there’s something really missing, we are working on adding it, most likely. Will there be community tools and social elements? How do people stay connected with one another? So, we have Voice chat and it is constrained to that instance of an experience. We have nearby text chat, which is also constrained to that experience. And then we have one user to another user direct text messaging, and that spans the system. You also can see the basic status of people on your Friends list – they’re there or they’re not. And so in the sense that you can see someone’s there and then direct message them, you can stay connected in that sense. As far as larger, group-type chat, that’s not there yet, or party voice chat, we don’t have that yet. We want to be very careful with how we construct those systems [because] there’s a bit of social engineering there. You want to make sure people are involved in the actual happening around them; and groups tend to isolate. So then you have a lot of people in the same space in parallel but not necessarily engaged or really sharing it together. So, these things should come, it’s just an issue of finding the best way to integrate them. I mean, when people hang out, it feels like a party right now. I have concerns that we put this parallel of group voice chat within that, then we’re going to have isolated bubbles. By the way we treat audio in Sansar, it behaves very much as it does in the real world, but in a slightly heightened way, because audio is all spatialised; it’s easy to pin-point people in space … And what happens is, when you have large groups of people, they behave like they do at a party; they cluster up and move in their little conversational pods … And especially when you’re in VR, you see all these natural, human social behaviours just happen. And I’m really afraid to do anything that breaks that. And then you layer in that really high fidelity spatialised voice with some of the body language you pick up through the VR apparatus … you get some body language in there, and it’s even better. Second Life and virtual worlds are seen as levelling the playing field for people with disabilities in feeling included. Voice can be, for those with “hidden” speech and hearing disabilities can be a barrier. How will these issues of inclusion be overcome in Sansar. It’s inclusion, it’s accessibility its equanimity. These things are really important, and we do think virtual spaces, virtual worlds and experiential platforms are an opportunity to level the playing field in so many different ways. Fortunately, now some technologies that weren’t available when Second Life was coming up are finally starting to become a little more ubiquitous. Voice analysis stuff is getting pretty good; so we’re looking to leverage speech-to-text, text-to-speech, and not just to synthesise, or to control but using text-to-speech with animation. So you can imagine scenarios whereby you have an NPC [non-player character] that has a whole dialogue embedded within it that the user’s interacting with, and you’re not only getting a reasonably synthesised voice, but you also have the facial animations that go with it automatically – and they look convincing. So you have facial animation that’s at a quality that a lip reader probably could get information from it. And that’s something that we have right now in Sansar that is not available in other platforms; not just yet, anyhow. And so what we we’ve found is people’s comprehension of speech goes up when you see the person actually speaking and so that’s something that’s really important to us, and eye movements. Right now in Sansar, I know my own comprehension goes up if I actually see the avatar’s face animating. So we’re trying to find different ways to level the playing field, and part of that is going to be powered by speech analysis. and right now we’re already leveraging some of that technology to get our avatar faces to animate well enough so some people can lip read from them. Then the next stage in to take that into doing voice controls for the app itself, as well as possible speech assistance. 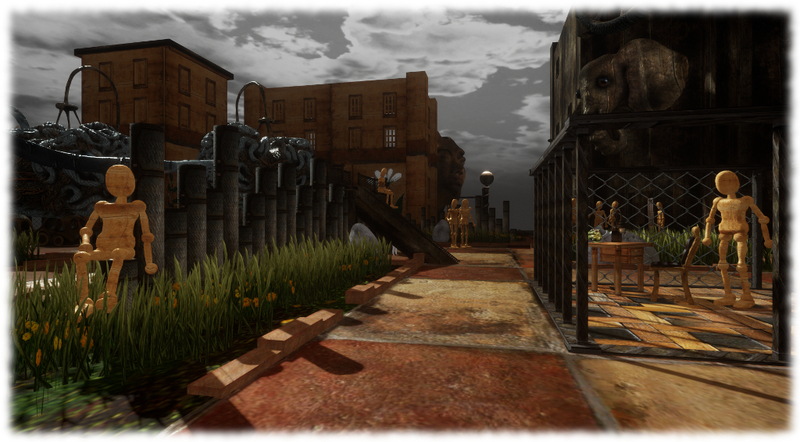 How does the Lab see Sansar attracting an audience in difference to Second Life? This is a differentiation from Second Life and I think it has some appeal to creators: each of these experiences has a unique URL that you can use to promote your experience, and it actually works. So when a user clicks on that URL on that thing, whatever it was, that piqued their interest, and they’re prompted to download the client or if they already have the client, they click on the link – it might be in your blog or it might be embedded within a video or on a social platform. When they click on that link, they’re taken immediately to that experience. They’re not first taken to a Linden crafted on-boarding sequence of tutorials a-la Welcome Island and that sort of thing. Because what we’ve found is very often, there’s tonnes of content within Second Life that is relevant and could be relevant and could be very interesting to people – but they just can’t get at it, because there’s just so many roadblocks between that point when their interest is initially sparked and when they can actually have an opportunity to go to that thing. And we’re just trying to short-circuit that whole thing with Sansar. You don’t have to go through the Linden door to get into the system. You go through the door you made; you can provide your own on-boarding system or on-boarding experience that makes the most sense for your experience. [Because] how are we to know what your experience is going to be? If you create a race car driving simulation, you want to start training them on that when they arrive; not the basic ins and outs of how to turn on and off the text chat. So we really want to make this thing as flexible for the creators as possible, and allow the audience that they’ve built to connect directly to their experience, as is technically possible right now. Now we can, and this is something we’ve discussed, we haven’t done it yet, and that’s overlaying some sense of some meta-games, a-la sort-of achievements and trophy types of systems. Those are really good mechanisms to use to give people ideas of things to try. It influences some behaviours, it gives people some incentive to branch out and do some things … we’ll see; it’s not in there yet. But I think the biggest, big, big difference is that you just go straight to the thing that got you interested to begin with. For now … we won’t allow any adult content in Sansar; that very well might change in the future. Part of this is because we don’t have permissions [e.g. Maturity Ratings] yet. There’s no locks to any experiences, there’s no locks to anything. There will come a day when we have permissions and we will review that again. but currently, the adult policy is zero; there’s nothing. If we see something [of an adult nature] we will take it down right away. Sansar doesn’t offer native building options in the way Second Life can. Objects building requires external tools, and so on. 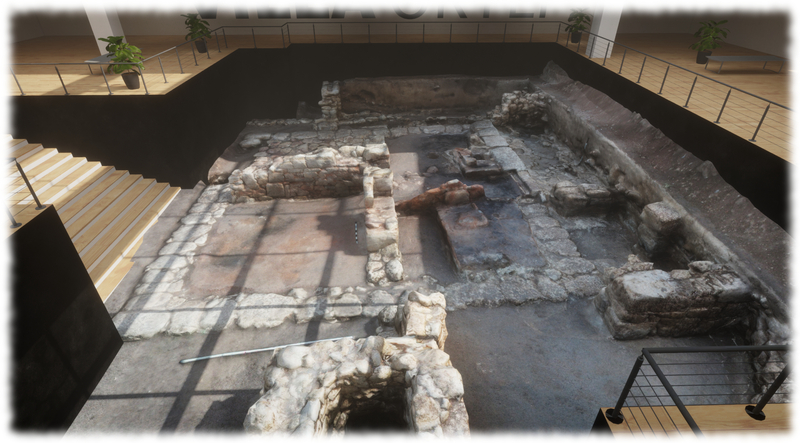 However, the big attraction for many in Second Life has been the ability to move from consumer user to designer / builder using the tools provided within the viewer, and then grow to more advanced content creation through external tools like Blender and Maya et al. 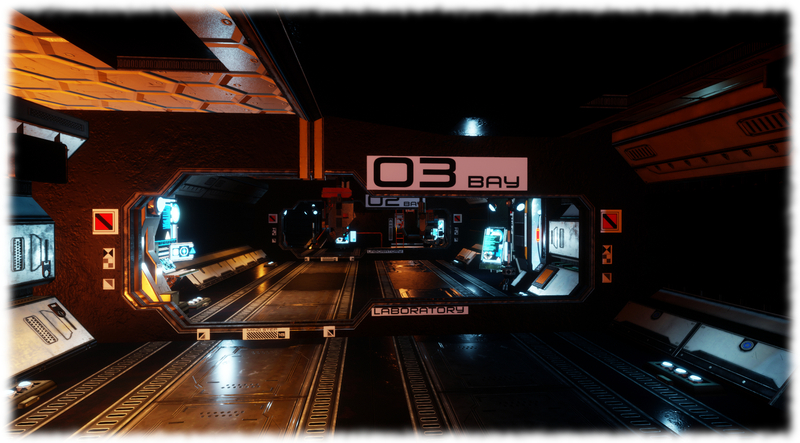 Will Sansar offer this kind of opportunity for progression for users? Building! Fun! And that transition from consumer to hobbyist to serious creator. That is an important progression for us, and that’s something I’ve been thinking about for a real long time with regards to Sansar, so let me just hit on a few notes for that. We are currently building the ground work to allow for collaborative editing. That is coming; devs are on it, they work on it every day. We find that this is one of the things that made Second Life so great. Building is fun, and building with friends is even more fun. Just look at Minecraft, look at SL. So that’s that – and I don’t mean to diminish it; it’s incredibly important and it’s going to be really great. Now, someone who wants to be creative, they want to build things, but they don’t know Blender. What do they do? Well, in SL you can build with primitives. Well, we will eventually provide some primitives. Not in the same kind of way they are in SL. Here’s a box, here’s a cylinder, here’s cube, you can scale them and what have you, apply materials to them – but that’s probably about as far as we’re going to go, and there’s a reason for that. It’s not necessarily the most efficient way to build; so there’s that issue. It’s also somewhat of a philosophical thing, in that Second Life is basically building in a 3D modeller; that’s what it is. And if you look at 3D modellers at the time, that’s how you modelled, with prims. And you bashed them together and did boolean operations, there was no Z Brush, there was no Mudbox or proper sculpting tools, so you worked that way. What they build was basically a rudimentary 3D modeller, and good on them! What we’re doing is, we’re saying we’re going to make it super easy for you to snag things off the Marketplace, you can combine them, you can kit bash them. I’m a big proponent of kit bashing where you buy stuff on the Marketplace, you bash it together, you Frankenstein it together into new stuff that suits your purposes. And then you combine that with our terrain tool, which is coming very soon1, and some other things that are also coming soon that I don’t want to speak to too much. And then all of a sudden, you kind-of have the easy-to-use, highly streamlined, create it from scratch within Sansar options that are currently not there. But for all intents and purposes, you do the kit bashing with the primitives mixed with stuff off the store, and that casual creator, they’re in business, they’re going to be able to make some really interesting things. Throughout the sessions I attended, what struck me is that the Lab does have a roadmap for Sansar which covers at least the next several months, if not longer. At the same time, the weekly meet-ups (formerly office hours) in Sansar allows the Lab to delve into feedback from creators, review issues and take ideas on-board – much as is the case with the various technical meetings the Lab hosts in-world in Second Life with users. And this feedback is being folded back into the Lab’s plans and influencing thinking – so while there is a roadmap, it’s not necessarily tablets-in-stone; which is a good thing. I’ll hopefully have more updates of this nature in the future, including updates from the weekly meet-ups. At the Friday, August 4th Office Hours meeting, Widely indicated that the terrain tool will be in the next release. With thanks to Pete and Widely Linden for their additional input in putting this article together. What about combined and shared inventory between accounts? is that still on the table for those who want or need to build different experiences on different accounts. I’m not sure sharing inventory between *accounts* was promised; however, the ability to have multiple avatars / personas until a single account which could share inventory was indicated as being a goal. This can, to a degree, already be done: using the New Look open, you can create additional avatars , change the gender on them, customise the look, and then swap back and forth between them. I assume that as inventory built-out, this part of what will allow inventory to be shared. It’s certainly a question for the Sansar meet-ups, tho. 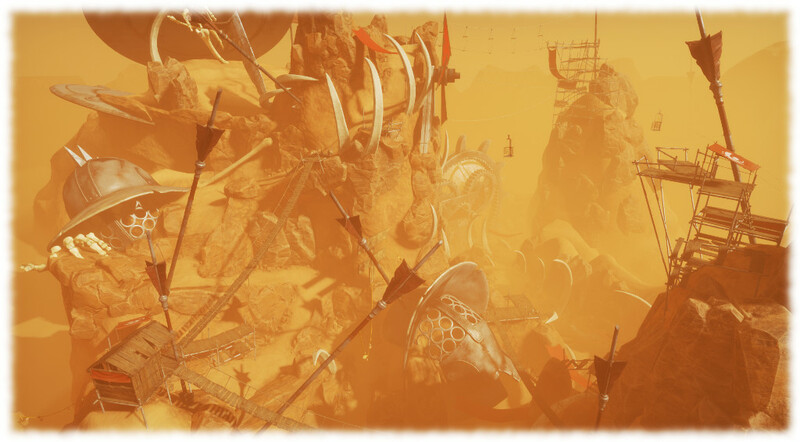 Sansar definitely has the most potential of the next gen virtual worlds. I’m really looking forward to these new advanced avatars as my main interest in Sansar is to create and sell clothing. Thank you so much for sharing this interview. It’s opening a large better view on the purposes of Sansar. That confirms that Sansar is an all so different platform than SL. A new vision of engine game, very efficient is coming and Sansar will be day after day a must to practice. I went to Sansar and was powerfully unimpressed. Are we sure this is a Beta? It looks and acts more like an alpha version of SL when it was still being created. The movement controls are not intuitive and the avatars are dull looking. Honestly, Sansar looks more like a fancied up IMVU than a world grid. If this is what Sansar has to offer, Second Life has nothing to worry about. Really, it was THAT bad. The movement controls are wasd or the arrow keys, which I’d say is pretty intuitive. Turning around might not be so intuitive. The avatars issue is important, personally it doesn’t bother me but I was in a Sansar meetup where some of the participants said they had been put off High Fidelity because of the avatars, so I appreciate that it’s an issue for many people. When they try to picture Sansar as good as it runs as fast as Second Life, they forgot to mention “…in ultra graphic settings”. How many people run SL at max settings? Videos from other bloggers show a lower frame-rate, compared to their usual SL videos anyway. As for laptops, that are mentioned, they get hotter with Sansar than with SL. That’s not surprising, but telling that it runs well the same but with a better graphic is a bit misleading. And SL can run on older laptops that won’t even be able to open Sansar. I remember that Sansar was aimed at something like 10-100s million users. I don’t know the percentage of people owning a laptop with a 960M or better (or even a 940M, that may be ok). And at 12 Mbps it takes up to 10-15 minutes every time you open an experience or you change room. In the US the average connection speed is 18.7, and 7.2 worldwide (AKAMAI report, Q1 2017). Maybe some kind of progressive loading may help to make the loading times less discouraging, as well as some lower graphic settings options or whatever they can think. These aren’t the only issues though, each of which reduces furthermore the people who can/would come and would stay. The easiness is good instead, you see that from start and from changing clothes too, which is as simple as current games, more or less. The specs are pretty VR ready specs, High Fidelity has similar specs and I agree with you that these specs are not exactly what would be called the mainstream range to get a 100 million people onboard but some of this is beyond the control of Linden Lab or High Fidelity, we need cheaper hardware for consumers in terms of PC’s, HMD’s and controllers. That’s likely to happen over the next few years but we’re certainly not there yet. There are many promises. There were before too. I really wish Sansar could have success, because it’s the kind of stuff that I like. I can see the potential and many possible uses. They made it sound quite promising before too. When I tried it out, it turned me off, even if I knew the avatars were still basic etc. Many people had similar feelings. First impression feedbacks are precious for devs. Especially if their users explain what they felt and why, and what things went well or wrong when they experienced the product for the first time. That’s exactly the critical moment in which you can either catch a portion of your new coming costumers in few minutes or lose them. So with feedbacks you can get a clearer idea of what’s going on with your users, from different perspectives too, and see what can be improved and then you work to find possible solutions. The main purpose of those preliminary versions, opening them to a larger audience, usually is also to receive extra feedbacks. It would be pointless (and a bit delusional) if devs just move on and go ahead not caring much, patting each other on their shoulders, repeating to themselves: “it’s good, very good, omg it’s going to be so good, I’m so excited!”. I don’t think Linden Lab is doing that (I hope so at least), but I have my doubts that it’s going to be the massively used thing that was aimed to be. Unless they pull out some amazing bunny from that hat. I’m not one who stops at the first impression however, so maybe I’ll be happily on Sansar all the time the next year (or 2 or 3 or…) and promoting it everywhere (assuming it will be still around). Time will tell. Thanks, Inara, for posting the interview. The opportunity we have to see this new product under development from the very beginning, to hear the developers’ point of view, to see how it develops over time – it’s exciting and interesting. Second Life and Sansar give us the chance to see some things ‘under the hood,’ that usually only IT people see, and it’s part of what I value here. The Sansar meetups are really important, not just for the Lab, but for creators and users because in the meetups you embrace social interactions via text and voice chat. A lot of it is in voice chat and I know some people don’t like that but there’s also text chat and you see it in action. This social aspect also demonstrates some of the features discussed, the mouth movements are very impressive when an avatar is talking due to Speech Graphics integration in the platform. The meetups also contain tips and tricks, how to move, how to walk to doors and enter another experience, what’s on the roadmap etc. and from this you can start to get an idea of what you may be able to create, what’s you might want to experience and what you would like the Lab to develop, of course we will all have different wishlists. I’ve found the meetups to be an extremely rewarding experience all of their own. Thank you for creating such a great blog post! I’m just going to point people to it from my own blog, you cover all of the concerns that Second Life folks might have about Sansar and I think you did it very well! Thanks especially for transcribing the audio clips of Linden Lab employees speaking about Sansar at the sessions. Thank you, and you’re welcome! I’ll be expanding the Sansar coverage with reports on relevant discussions, etc., at the meet-ups as well as we move forward! When and where ARE those meetups ?